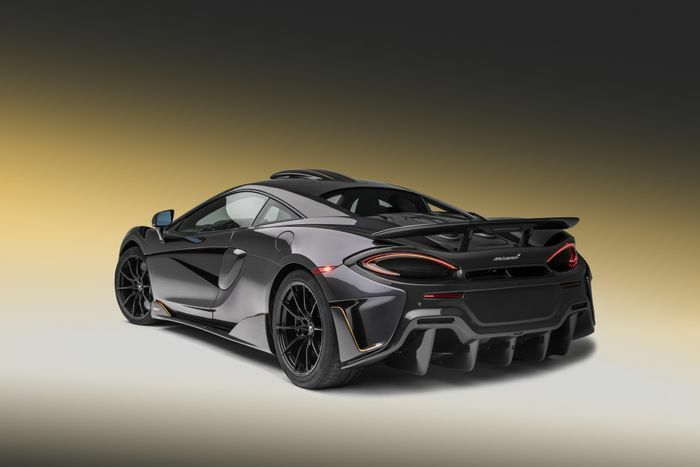 If buying a McLaren isn’t a sufficient enough display of you winning at life, don’t worry: you merely have to get in touch with McLaren Special Operations. 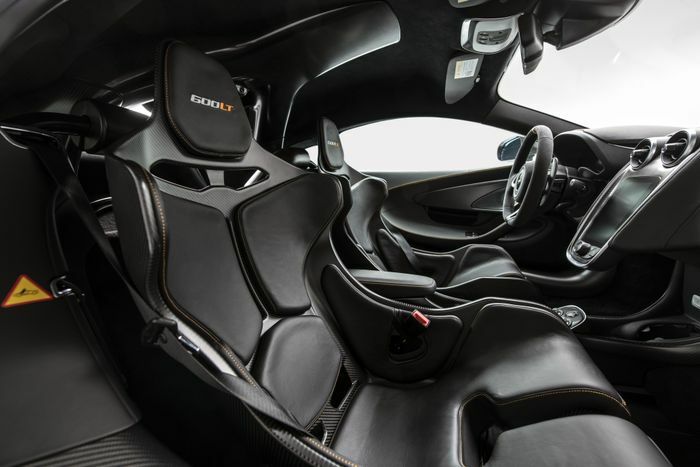 Sounds like a secretive bunch of people, but it seems the ladies and gents at Woking’s bespoke supercar department like shouting about what they’re doing. 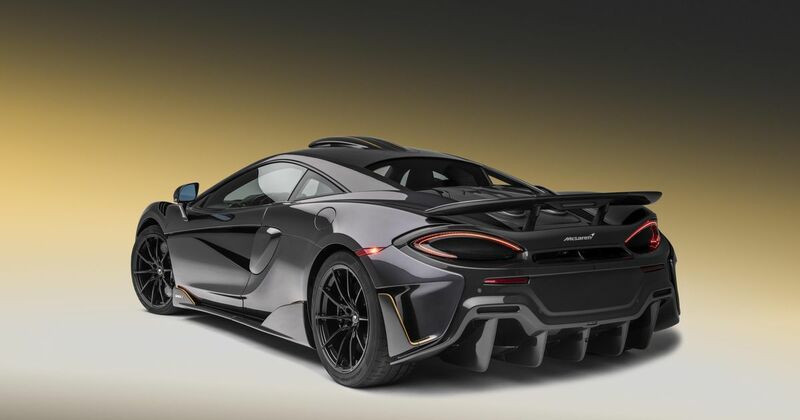 Only last week two MSO-fettled examples of the 720S were shown off, and now, we have this catchily-christened McLaren 600LT in Stealth Grey by MSO to check out. That Stealth Grey paint is complemented by a ‘Matt Black and McLaren Orange Exterior Pack’ (these just roll of the tongue, don’t they? ), and various ‘MSO Defined’ carbonfibre bits and pieces. The roof, front wing louvres, front splitter, door mirrors, rear bumper, rear diffuser and rear deck are all made from the stuff. Most interesting of all though is the roof scoop. It’s a fully-functioning air intake, which not only looks badass, but also enhances the engine sound you hear in the cockpit. MSO has even “seamlessly integrated” a camera into the cover of the scoop for track day glory. Sounds awesome. And expensive. Finishing the exterior off nicely is a set of 10-spoke, gloss black wheels, hammering home the ‘Sealth’ theme before you witness the madness going on in the cabin. Open the dihedral door, and you’ll find a pair of barely-there carbonfibre racing seats, pinched straight from the mighty Senna. 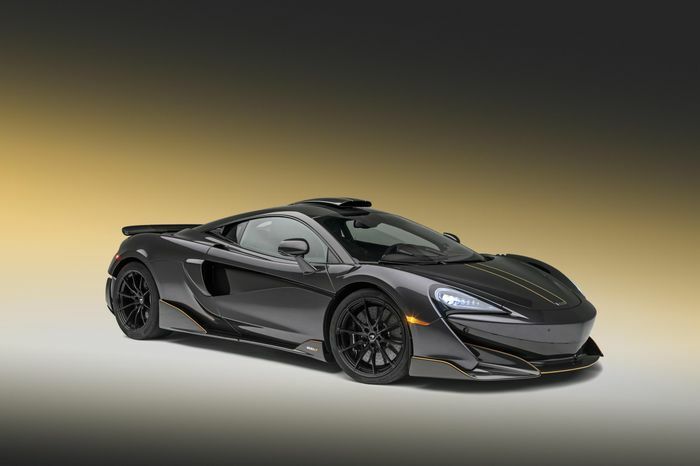 They’re enhanced with McLaren orange stitching, and are teamed up with six-point harnesses as part of the MSO Clubsport Pro Pack. For when you’re driving slightly less furiously, there’s a Bowers & Wilkins sound system to enjoy. The final detail we’d like to share? The throttle pedal has ‘600LT’ etched onto it. That’s some pleasing attention to detail. 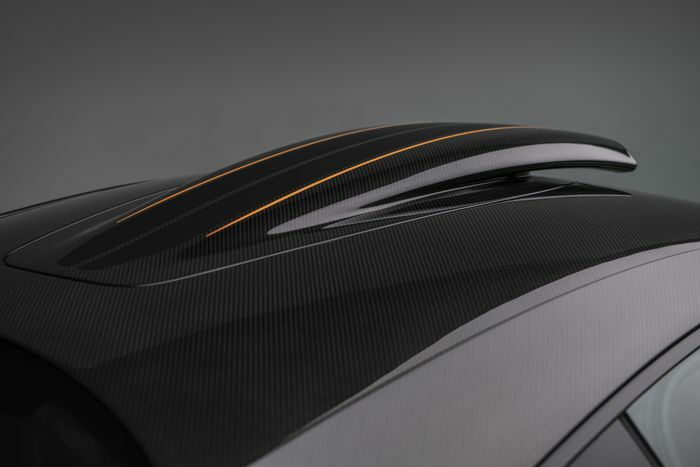 The car will be making its public debut on the Concept Lawn of the Pebble Beach Concours d’Elegance this weekend.